Google - now bigger than ever! 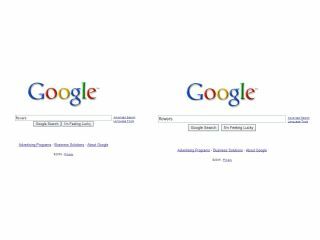 Google has made one of its biggest changes yet – it has increased the size of its search bar. Google's homepage has been praised the world over for its simplicity. Even n00bs (if there are any) can click on to the page and understand straight away that it's a portal for search. Google knows this and has now made the search bar bigger "because it symbolises our focus on search and because it makes our clean, minimalist homepage even easier and more fun to use." The bigger search bar was announced on Google's blog, where Marissa Mayer, Vice President, Search Products & User Experience, said: "The new, larger Google search box features larger text when you type so you can see your query more clearly. "It also uses a larger text size for the suggestions below the search box, making it easier to select one of the possible refinements." Google knows that the change is slight but as Mayer says: "It's a small change that makes search more prominent."